In the world of classic white weddings, brides used to pay little attention to wedding shoes, but the minimalist, bohemian and fashion addicted brides today know how important the bridal shoes really are and how they can flatter you and your dress. It’s been a while since all wedding shoes were white and low heeled. Brides today are strong, confident yet feminine women who dare to wear high heels or original colors such as mint, red or purple. Shoes used to be covered by long white dresses, so brides always chose comfortable low heels, but now dresses became shorter and more colorful, so shoes finally received the appreciation deserved. 2013 designer collections are full of original ideas, but they also keep a white classic line and feminine details. By far the most surprising bridal shoes collection came from UGG Australia. 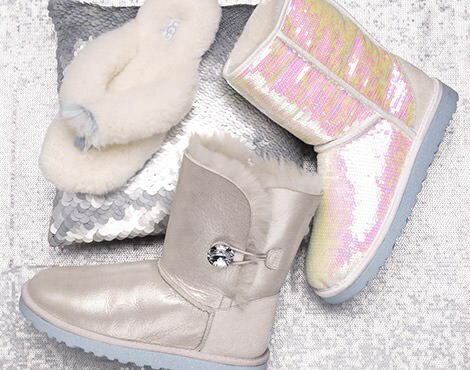 They created white UGGs for the special day, using elegant touches of sparkly sequins, satin and jeweled buttons. This is obviously the most comfortable choice, but would you dare to wear UGGs on your wedding day? Ankle boots are also an inspired choice this season. Made of satin, lace and other delicate details, the ankle boots are a bold choice for the fashion addicts. 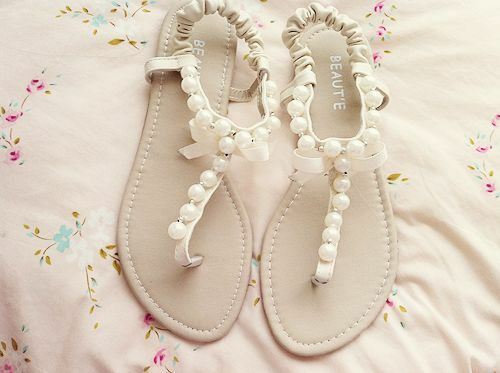 If your wedding theme is more bohemian though, sandals of any kind will be the perfect choice for your look. 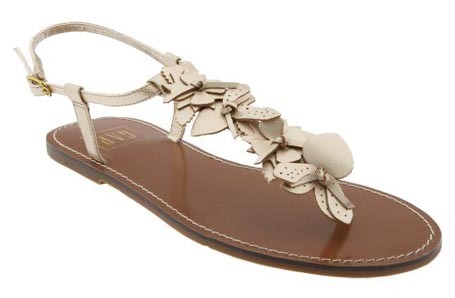 You can go for a pair of delicate metallic flat sandals, or white classic ones. Some of the greatest bridal shoes models will be found in designer collections such as Badgley Mischka or Christian Louboutin. Badgley Mischka’s designs are very feminine and delicate, in white or ivory, with floral details. 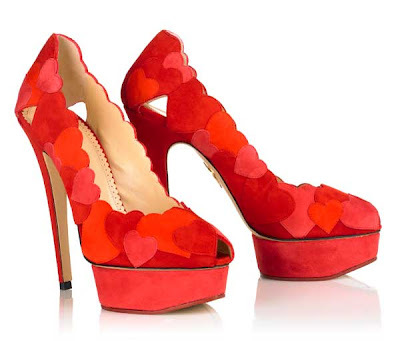 Another classic piece, but in the “Louboutin style” is the red-based pair of bridal shoes by Christian Louboutin. If you are wearing a colored wedding dress and you want to match your shoes, go for the great red or minty designs that could also make a stand on their own, with a short ivory or white wedding dress.